WASHINGTON, April 21, 2015 - U.S. special operations forces are successfully taking direct action against multiple global terrorist organizations while building U.S. partner capacity, a top Defense Department official told a Senate panel today. Michael D. Lumpkin, assistant secretary of defense for special operations and low-intensity conflict, addressed DoD's policy and programs to counter threats to the nation from terrorism and irregular warfare during a hearing of the Senate Armed Services Committee's subcommittee on emerging threats and capabilities. Special operations forces provide "a small but vital component of our comprehensive approach to counterterrorism," Lumpkin said, taking steps to understand and address multiple global threats including terrorist networks, a flow of foreign fighters, the proliferation of weapons of mass destruction and activities undertaken or sponsored by other states. Deployed around the world, special operations forces work closely with U.S. allies and partners to leverage the nation's respective strengths and capabilities against common threats, he added. The nation's special operations forces are a "unique asset," Lumpkin said, an asset that can be effective only when DoD has authority to employ them properly through Authorized Use of Military Force legislation. "I fully support our president's AUMF to counter the Islamic State of Iraq and the Levant," the assistant secretary said, adding that the authorization would "provide appropriate flexibility to confront ISIL's affiliates where conditions merit." The president's proposed legislation also would signal to U.S. allies and enemies that the United States is serious about addressing future permutations of this expanding threat. "I urge you to favorably consider it," Lumpkin told the panel. By making thousands of strikes against ISIL leadership and its forces, special operations forces weakened the enemy's ability to exert external territorial control and challenged the foundation of its propaganda, he said. Yet while U.S. special operations forces work to destroy ISIL in Syria and Iraq, they also are expanding their reach into Africa and Southeast Asia, Lumpkin said. "The recent killings of civilians in Afghanistan, Libya, Yemen [and] Tunisia ... highlight the expanding nature of the threat," he pointed out. In West Africa, special operations forces are partnered with local and European allies to degrade the extremist Islamic group Boko Haram, which recently pledged allegiance to ISIL, Lumpkin said. With what he described as a relatively modest investment of personnel and resources, he said, special operations forces and U.S. allies are exerting "significant pressure" on Boko Haram and its facilitation network. "I'm deeply concerned that the lack of unity of government and the deteriorating situation in Libya has created a safe haven for militias and terrorist organizations," Lumpkin said. "ISIL's increased popularity and presence in Libya highlight the need to quickly achieve a lasting political solution." 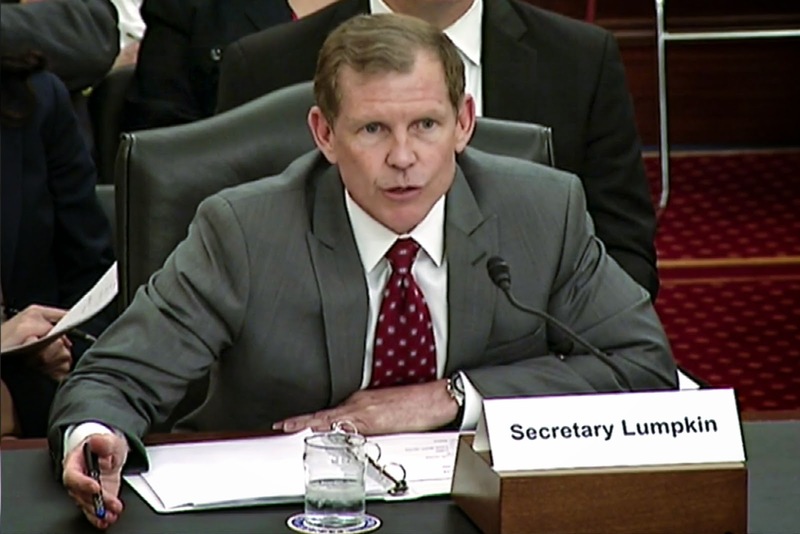 Across Africa, special operations forces are working with local and regional forces and European allies to degrade terrorist groups, Lumpkin noted. "These efforts have had significant disruptive effects on these organizations," he said. Lumpkin said he is troubled by the ongoing military aggression the Houthis are perpetuating in Yemen, and by the resulting unstable security conditions that are widespread in that country. But special operations forces will continue to contribute to the broader U.S. efforts to restore stability in Yemen, and degrade al-Qaida in the Arabian Peninsula," he told the panel. The U.S. special operations forces represent a relatively small slice of the U.S. government's efforts against these threats, Lumpkin said. "However," he added, "they are achieving meaningful and positive effects."